Cryolipolys, known as CoolSculpting, is a noninvasive fat removal procedure that freezes fat cells and causes them to die. The body then naturally disposes these cells, which results in a slimmer contour. 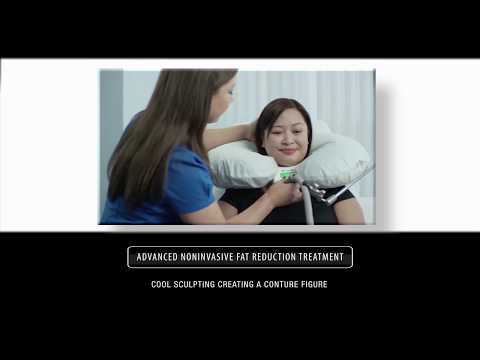 CoolSculpting is considered noninvasive because unlike power-assisted liposuction, which is a safe and effective way to remove larger amounts of fat, the surrounding tissues are unaffected. CoolSculpting is offered by our New Orleans and Metairie plastic surgery offices and is best used for problem areas around the abdomen, hips and thighs. It is common for patients to have multiple treatment sessions with visible results showing within 2 to 4 months. It is a safe and effective form of fat elimination that leads to outstanding results for many candidates. "Very pleased with the results. - I was going to Dr Khoobehi's office to ask what can be done with my "overflow" of fat, I'm not heavily overweight but wanted to get rid of some excessive fat on my body, I was under the impression I needed a little sucked out, but Dr Khoobehi introduced me to CoolSculpting instead and that really did the trick, I had around 7 sessions done over 2 visits and the results are remarkable, I'd..."
"I was going to Dr Khoobehi's office to ask what can be done with my "overflow" of fat, I'm not heavily overweight but wanted to get rid of some excessive fat on my body, I was under the impression I needed a little sucked out, but Dr Khoobehi introduced me to CoolSculpting instead and that really did the trick, I had around 7 sessions done over 2 visits and the results are remarkable, I'd..."
"Excellent Results, Follow-Up and Care - Had Coolsculpting performed with excellent results and received outstanding follow-up care from Dr. Walters and his staff. Would not hesitate to go back to Khoobehi for other procedures, if needed." "Had Coolsculpting performed with excellent results and received outstanding follow-up care from Dr. Walters and his staff. Would not hesitate to go back to Khoobehi for other procedures, if needed." During a CoolSculpting procedure, patietns will not feel any pain, but will feel slight pressure in the areas being treated. The practitioner will place the cooling device on the area of the body where the fat is to be removed. The device pulls the fat pocket up between the cooling panels, where the freezing process will ensue. Treatment will last about an hour, depending on the size of the area being treated. Following the procedure, patients can resume their normal day. They may experience some redness and tingling on the treated area, but this will subside quickly. The cost for a CoolSculpting treatment will vary, starting at $750 per treatment. The number of treatments will depend on which part of the body needs sculpting, how thick the fat layer is and how large the size of the area is that is being treated. Will I Be Fat Again?